The play opens to a scene of Roland, a beekeeper, meeting Marianne, a physicist, at a barbeque one day. After an awkward meeting, the scene backtracks like a broken record, replaying the same scenario, with different exchanges of words and different levels of interest between the two. As the play goes on, the audience sees various snippets of their relationship at different stages. The scenes are not spliced together chronologically, but still make sense when one considers the overarching theme of quantum theory that guides the play. 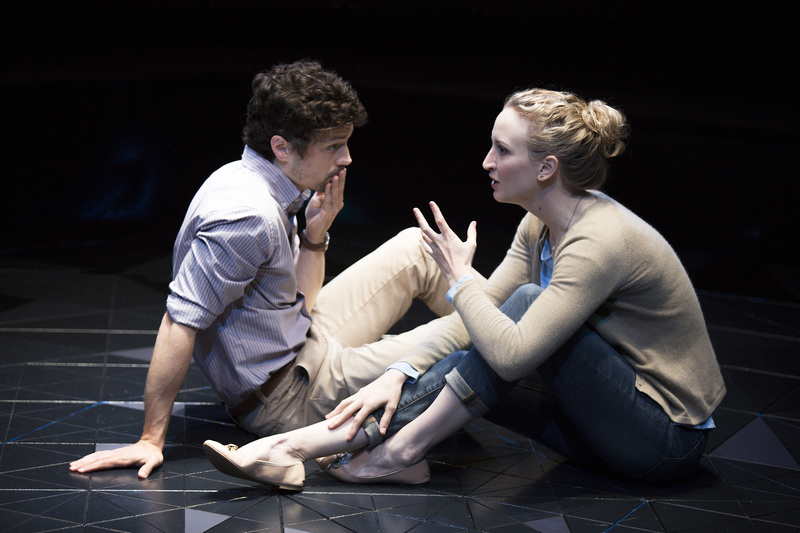 Early on in their relationship, Marianne describes this quantum multiverse, saying, “every decision you’ve ever and never made exists in an unimaginably vast ensemble of parallel universes.” The play is shaped and guided by this principle; it presents only a few scenes, but reimagines them through the lens of this theory. Part of the intrigue of the play is in splicing together the various scenes and taking each scene as a distinct possibility. “Constellations” leaves viewers to fill in the blanks on their own and let their imagination wonder. Presenting various versions of the same situation, the scenes convey images of missed opportunities, regrettable fights, deadly diseases, painful breakups and happy endings. Though each scene alone is short and simple, together, the jumbled versions of all possible outcomes come together to encompass a full range of human expressions and experiences in a poignant and clever play. One might understand if actors had some difficulty transitioning from starstruck lovers to a couple breaking up in a matter of minutes. However, Coulson (“Harry Potter and the Chamber of Secrets”) and Frings (“Tales from Red Vienna”) successfully convey a wide range of emotion in a short amount of time, creating scenes that are funny, awkward and heartbreaking, one after another. The acting is further highlighted by the stage, a circular space encircled with twinkling lights, reminiscent of constellations. As the stage shifts to each separate “reality,” the lights dim and an extraterrestrial noise is made, an homage to the scientific roots of the concepts, and clearly delineating an otherwise confusing plot. The audience is focused solely on the two actors, who remain on stage for the entire hour- and 15-minute show. With few props and an intimate staging, the viewers feel incredibly involved with the actors and the plot, creating a magnetic and riveting show. Between the acting, staging and screenplay, “Constellations” manages to seem utterly real, despite the blurred realities it presents and the questionable outcome of the play. But perhaps that’s the point: It doesn’t matter what really happened, only that the possibilities are endless. “Constellations” tells a mesmerizing story about love, opportunities and the impact of each individual decision, no matter how small.